Head over to your favorite Club Clio branch now! 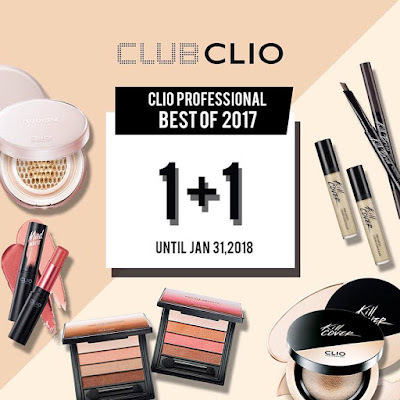 Enjoy 1+1 on your Clio favorites until January 31, 2018! *Promo is valid at all Club Clio branches except SM Makati and SM Mall of Asia. ** Promo is valid on selected products and shades only.